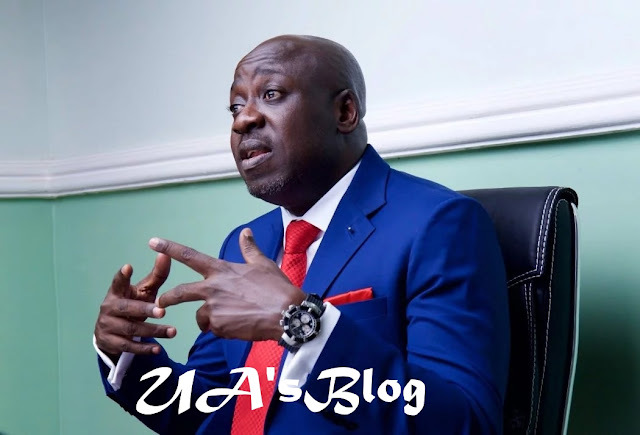 Bolaji Abdullahi has officially resigned as the National Publicity Secretary of the All Progressives Congress (APC). Despite insisting he would not leave the ruling party through the backdoor on Tuesday night, Abdullahi took to his Twitter page to confirm his exit on Wednesday. “In view of recent political developments in the country and within the All Progressives Congress (APC), I have decided to resign my position as the National Publicity Secretary as well as my membership of the party with effect from today. “In the last few days, I have had to endure the flagrant usurpation of my role as the spokesman of the party in a manner that I consider unbefitting of a ruling party and inconsistent with my ethical standards. “I have served the APC honestly and to the best of my ability and when I stood for and won my election at the last convention, it was a keen desire to continue to do so. “However, in a situation whereby my loyalty is constantly brought into question; my subordinates deployed to subvert my office; and my views constantly second-guessed on the basis of my political affiliation, it has become imperative for me to review my position,” he wrote.